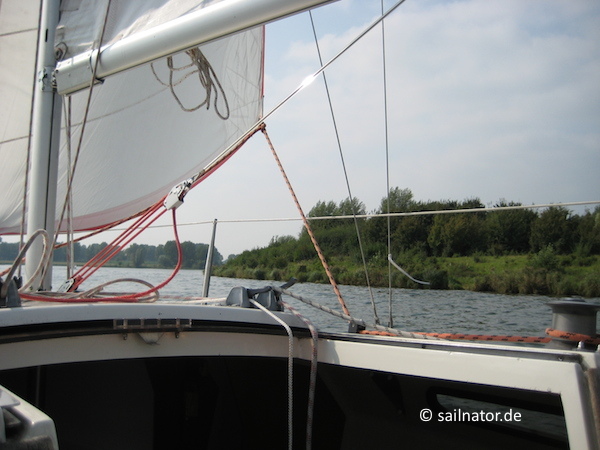 We want to use one of the last warm days of the year for sailing in the Netherlands and test the Fox 22. 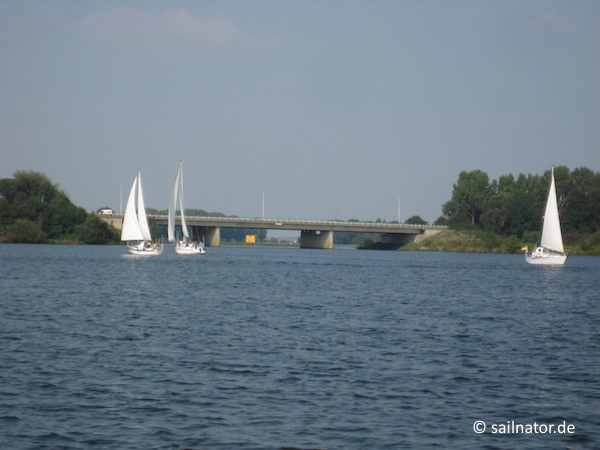 Our choice fell on Roermond where some lakes are located near the river Maas. It is close to Germany and can be reached by car within an hour for example from Düsseldorf or Cologne. The delivery of the Fox 22 at the Watersportschool Frissen is Dutch-like uncomplicated. The boat lies ready for sail in the box and if you have questions there is staff on the jetty. But first we have to pay a security deposit of 300 Euro. 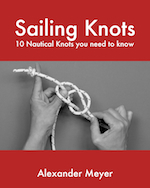 We take the tarpaulin off the mainsail, start the engine and untie the lines. Shortly in front of the little harbour we hoist the sails. A calm wind blows over the lake that helps us to settle in. After only a short time we get excited: We are sailing! The sun comes out and it gets warm. 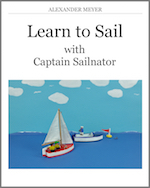 We do some manoeuvres, sail up and down, keep out of the way of the few other sailboats, do little races and enjoy gliding over the water’s surface. 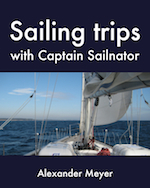 My sailing trips have also been published as ebook and paperback. For more information click here! The Fox 22 makes the best of the light breeze. If there is a squall out of the darker clouds she withstands them confidently. If she is trimmed properly we can even release the tiller for a short while and she does not leave the course. The boat gives us a safe feeling. We sit in the cockpit quite comfortably and can enjoy the sailing day wholeheartedly this way. 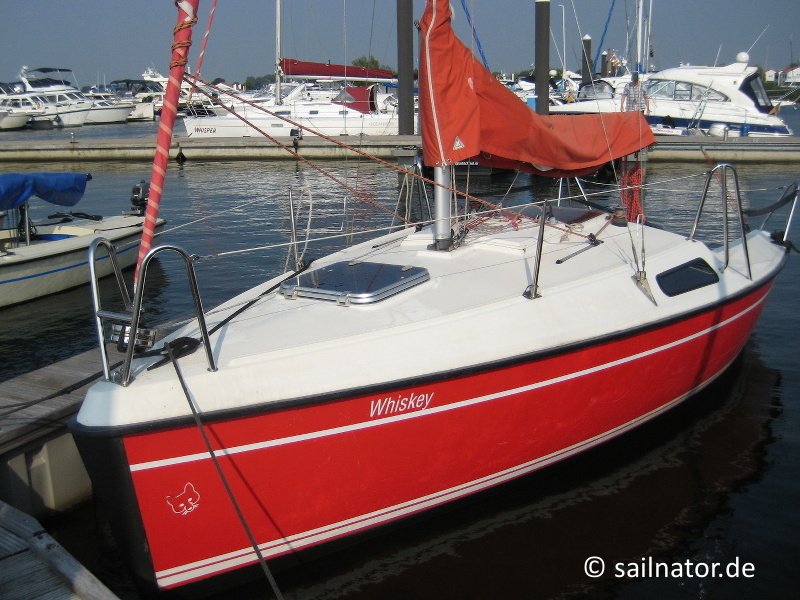 With her flat deck the Fox 22 is no beauty but she is ideal for Dutch waters. And that is what she was constructed for. She has space for 4 persons and under deck we can even sit upright. A small stove is on board. This way you can explore the surrounding canals and lakes for some days. But she is also big fun as daysailer as we notice today. The lake at the charter company bores us after a while. 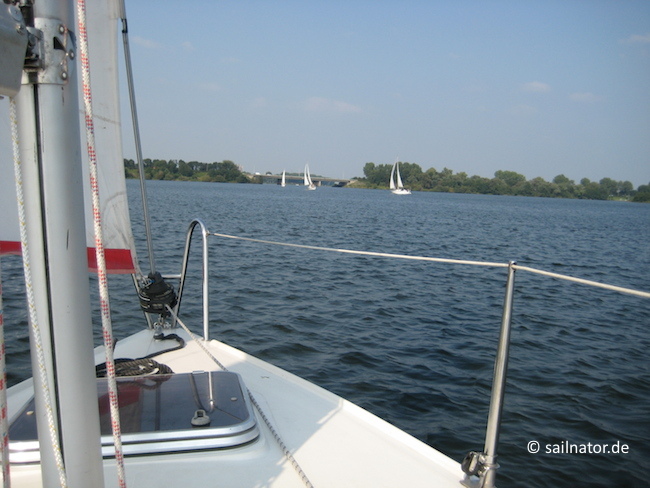 So we sail into the river Maas. Now we have to expect large professional ships. Those, who want to explore the surrounding area for some days can take the lock from here to the nearby canal. We beat downwind till we reach the entrance to the next lake. There are not many boats around here. The wind increases after a while and the Fox 22 shows what she is able to. We can hang ourselves in the belts on the windward edge of the boat. On the banks of this lake a small jetty is located, which belongs to a restaurant behind the dike. But when it is time for lunch the wind blows wonderfully. To be on the water is so much fun now and it would be a pity to go on shore. So we continue sailing. The sun comes out again. 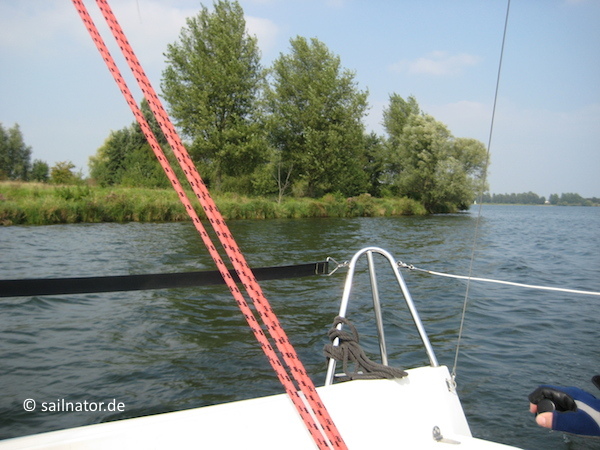 Eventually we beat back across the river Maas into the main lake. Meanwhile there are a lot more boats. 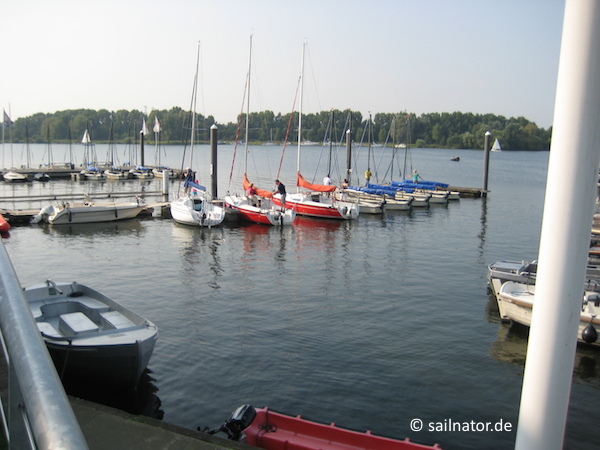 Small yachts, dinghies, Polyvalken and open powerboats are underway. When we reach the harbour later it is completely empty. So berthing is easy and to clear up the deck is done quickly. We are very surprised how fast the last 6 hours passed by. We just do a detour via the historic centre of Roermond and return later to Germany very satisfied. The Fox 22 can be chartered everywhere in the Netherlands. 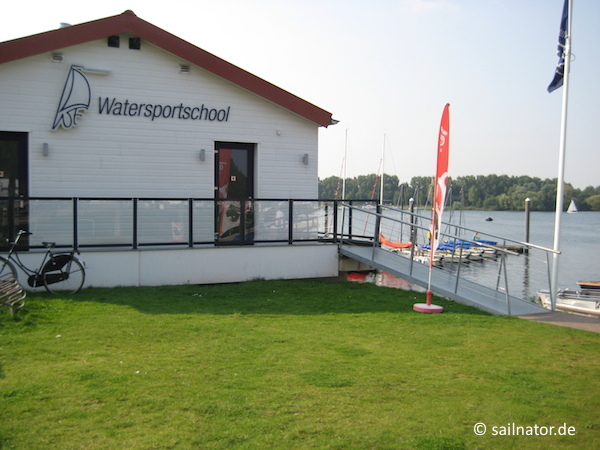 The Watersportschool Frissen was the easiest place to reach for us. 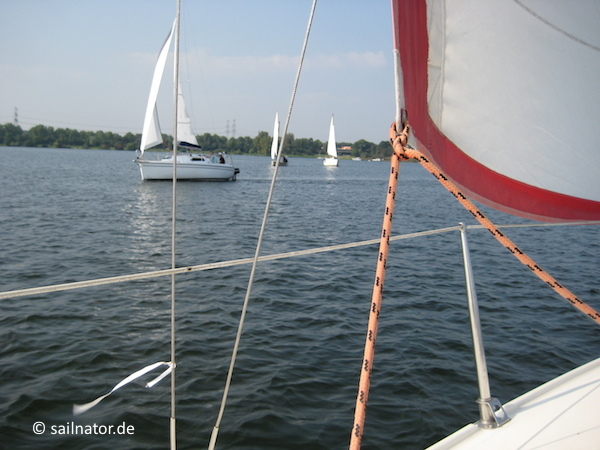 The area has a manageable size and is sufficient for a half or a whole sailing day. 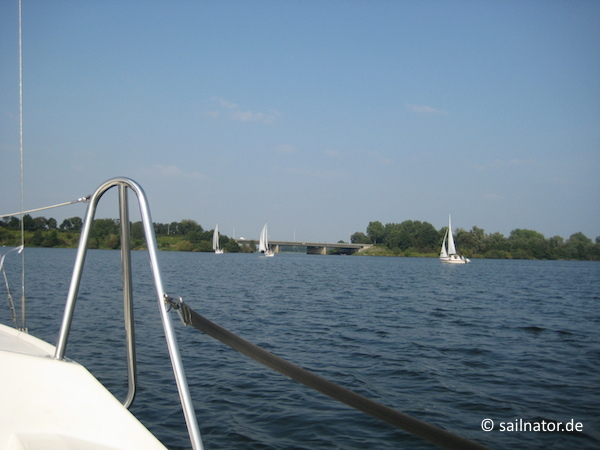 But Friesland is a nice area for sailing too. You can charter the boat for example in Sneek. From there you can even reach the Ijsselmeer. But for that a compass, charts and navigation lights are necessary. From Browersdam you can explore the nice Grewelingenmeer. But there are many more options. Early booking is to be recommended – especially on weekends and holidays.